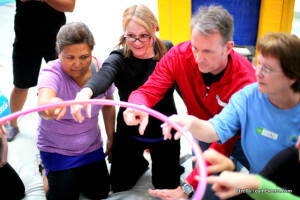 Our facilitators have been part of the team building culture in Orange County for over 10 years. Team Building events here bring with them blue skies, sandy beaches, and plenty of open space. We love producing events in the OC which is why we call it home. Spots like Laguna Beach and Huntington Beach are perfect for our Iron Team Challenge or our Throwdown Rally. Choose from any of our crazy fun team building activities and we can make it happen in the OC. If you’re looking for incentive reward activities send your group on an excursion activity like Surf Lessons, Tactical Weapons Experiences, Water Jet Back adventures, dolphin safaris, or any number of thrilling outings. We’ve produced team building events all over Orange County including Irvine, Anaheim, Laguna Beach, Huntington Beach, Newport Beach, and Dana Point. Call us at 877.267.1939 to plan your next Orange County team building event or email james@fireflygroupevents.com. View our activities list to see what we can offer your Team in Orange County!! Techno Rally Scavenger Hunt – Explore the beautiful local beaches or downtown centers with this Amazing Race style team building event in Orange county. We utilize technology that creates a seamless high octane experience for your team building event. Team Olympics – Your teams will compete in a head to head Olympic style team building challenge. They will need to communicate, assume leadership roles, problem solve, and trust if they want to win. thsi is perfect for parks in Irvine or beaches like Newport or Huntington Beach. Tactical Challenge – Orange County is the only place you can experience this unique event. Your team is jumping into the middle of hostile situations and we’re asking them to perform at 110%. They’ll have to make decisions under pressure if they want to win. Our high tech simulators will keep your pulse racing and adrenaline up. Forget the Navy Seal challenges, come find out what your team is really made of. Charity Team Building Events – We have a huge variety of causes and vulnerable populations that are in need of a helping hand. 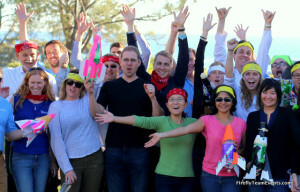 Let us plan a memorable team building event for your new meeting or sales conference. One of our go-to venues in the Huntington Beach area for team building. This hotel has the space, the location, and a staff that understands how to make your stay relaxing and easy. This seaside village has a downtown area well suited to wandering, dining, and shopping. It’s perfect for a group scavenger hunt or dine around. It should be on the shortlist for your next Orange County team building outing. Need some open Space? Try the ever expanding Great Park in Irvine, CA for your team outing. It’s perfect for team competitions, graffiti lessons, and any event requiring open space or blue skies. Gorgeous tree lined paths and lots of hiding places and open spaces make Central Park perfect for a variety of our team building events. The throwdown rally and Iron Team Challenge are perfect in this setting. Trade your office for some fresh air! Relax and enjoy a leisurely ride around the harbor in top of the line, eco friendly, electric Duffy boats. Sit back and sip wine as your piloted past the homes that give Newport the nickname “The California Riviera”. Want something more exciting? We can organize a scavenger hunt in the harbor or arrange for your crew to go big with the latest adrenaline rush – The Aqua Jetpack.